The head of Russia’s Central Bank is determined to increase the country’s gold reserves to its previous levels in 2012-2013, from $360.5 billion up to $500 billion. Russia will increase its gold reserves by up to $500 billion, said Elvira Nabiullina, the head of Russia's Central Bank, Rossiyskaya Gazeta reported. Russia will aim at $500 billion, despite the fact that a sufficient level of gold reserves for the country is $188 billion, Nabiullina said. Currently, Russia owns $360.5 billion worth of gold reserves. The amount covers more than three months of imports, short-term foreign debt and 20 percent of Russia's entire money supply. The country's gold reserves exceeded $500 billion during 2012-2013, when global oil prices were at their peak. However, right now due to low oil prices, the Russian budget will receive $150-170 billion a year compared to a few years ago before the crisis. "Recent experiences forced us to reconsider some of our ideas about sufficient and comfortable levels of gold reserves," the head of the Central Bank said, adding that the Russian economy needs the amount of gold reserves to be able to cover negative capital outflow for the next 2-3 years. 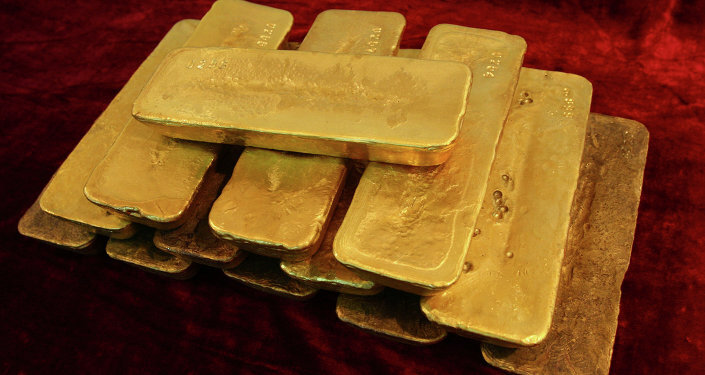 Russia will accumulate its gold reserves gradually in order to avoid high inflation, Nabiullina concluded.